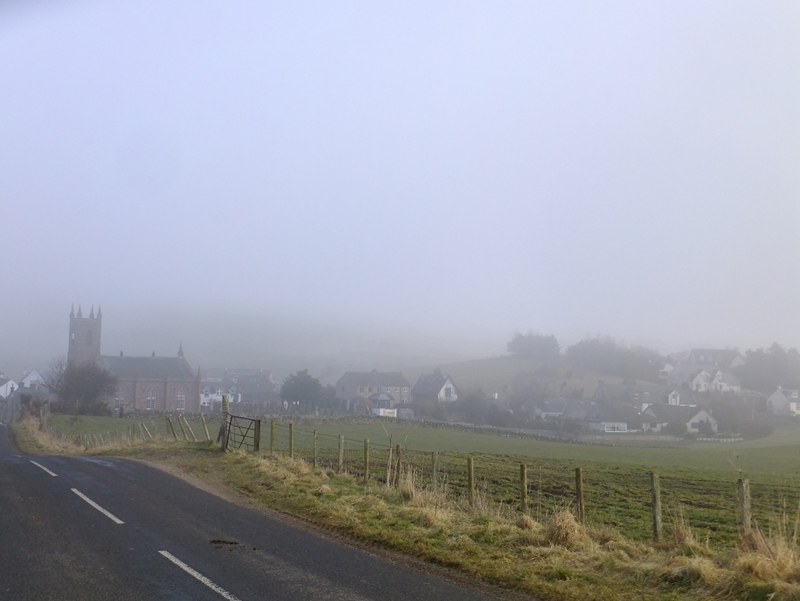 Some idiot – or at least non-cyclist – decided in their wisdom that the best place for our local doctors’ surgery would be the village-on-a-hill, which enjoys the sort of location that is usually reserved for hilltop fortresses, or possibly windfarms. 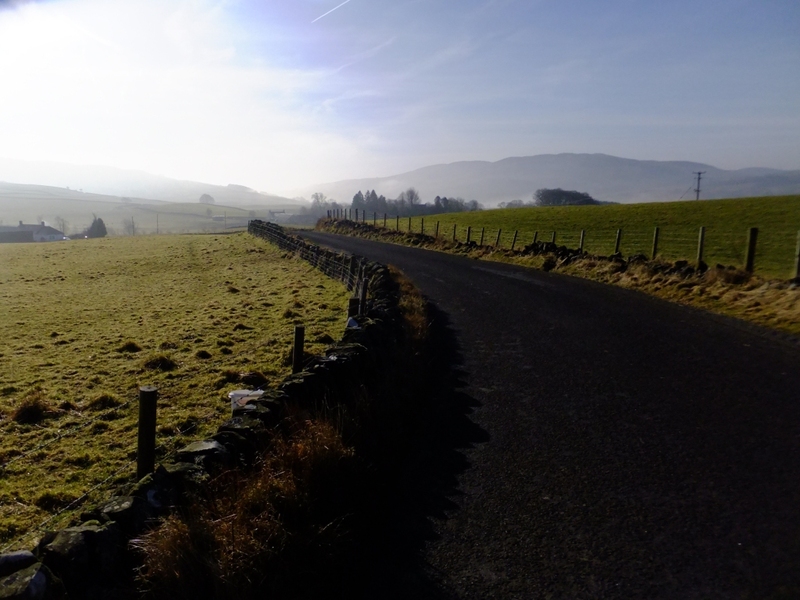 Whichever road you take, the only way to reach it is up, but for us the most direct route involves a particularly heart-breaking climb, the kind that employs every kind of mind game on the poor cyclist from false summits to the old ‘going-round-a-bend-and-suddenly-kicking-upwards’ trick. 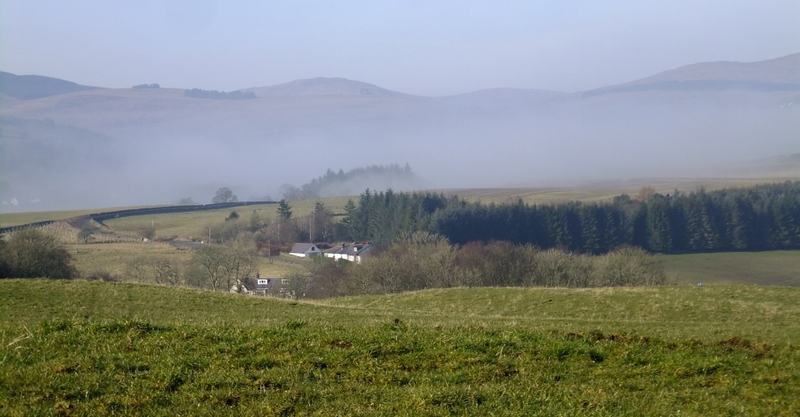 It was a frosty and misty morning, and I had been glad to have my ice tyres on as I made my way through the river valley (especially when 50% of the traffic I saw this morning – i.e. 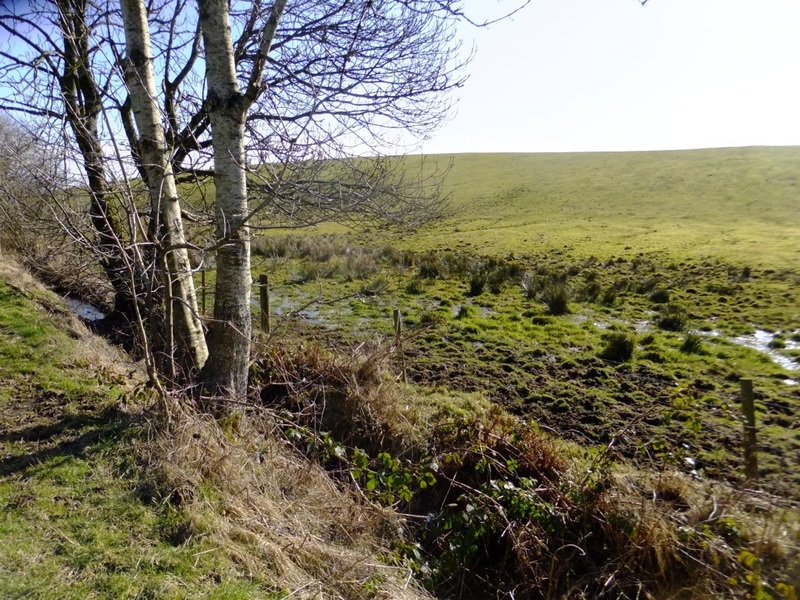 one car – decided that the narrow stretch of road with a substantially icy verge would be the ideal spot to overtake me. Well done spotting I had ice tyres on at 40+ mph) but as I crossed the bridge and started the ascent, I definitely felt every one of their thousand grams* and I was glad I’d allowed extra time to cool down and get my heart rate back to something approaching normal before my appointment. And then there was nothing for it but to set off, and enjoy the ride down. When you’re accelerating hard at that puddle on the road – you might want to at least pretend to look out for any innocent gardeners who are busy working on the other side of the wall having been foolishly lured out by eleven days* of unprecedented dry weather and actual sunshine and having forgotten temporarily about the perma-puddle on the other side of the wall. Because, even though it was actually getting warm enough in the sun and out of the wind for me to at least consider shedding one of my many layers May be out be damned, I wasn’t quite ready for a cooling shower of muddy road water. 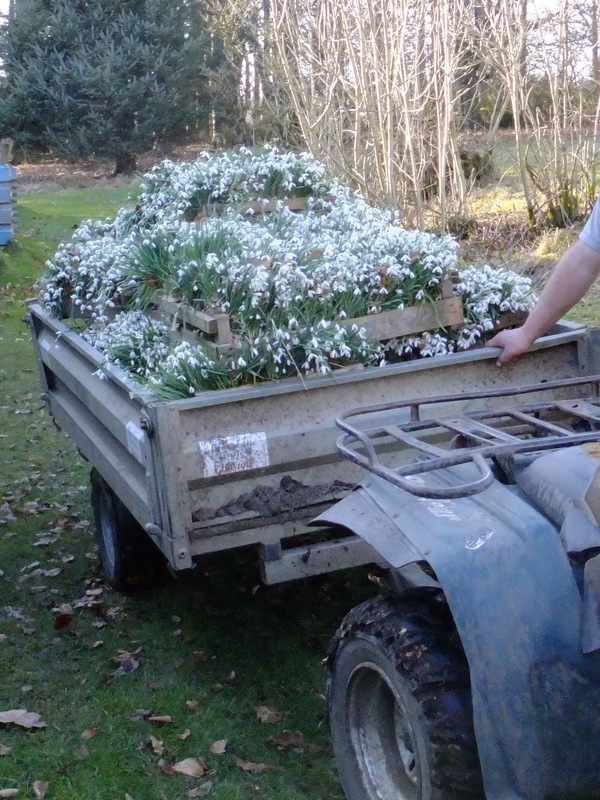 Meanwhile, enjoy the picture of the snowdrop harvest being brought in – I can’t help feeling that the quad bike should probably have been driven by the Queen of the May, rather than a burly bloke with a buzz cut, but you can’t have everything. 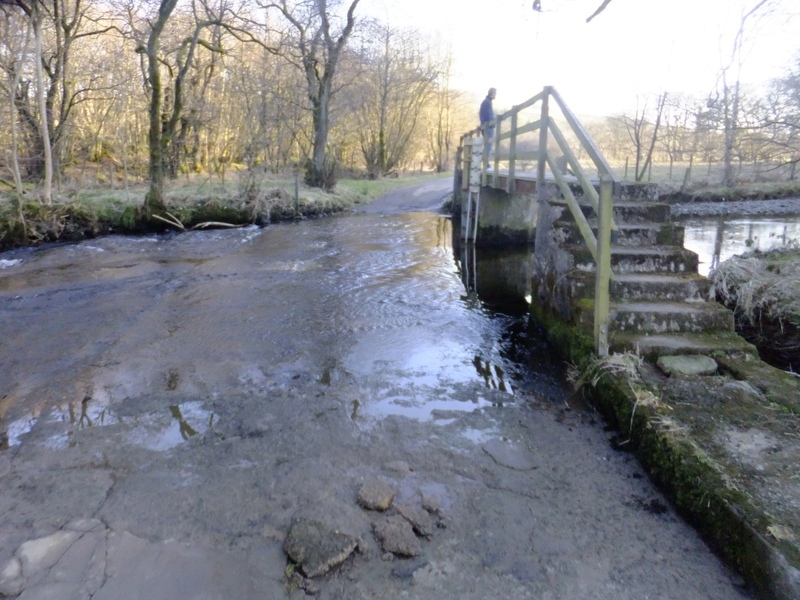 … even the ford is, well, not actually dried up yet. You know what? After the soaking we’ve had for the last – what, 11 months now – I don’t think we’re looking at a hosepipe ban any time soon. 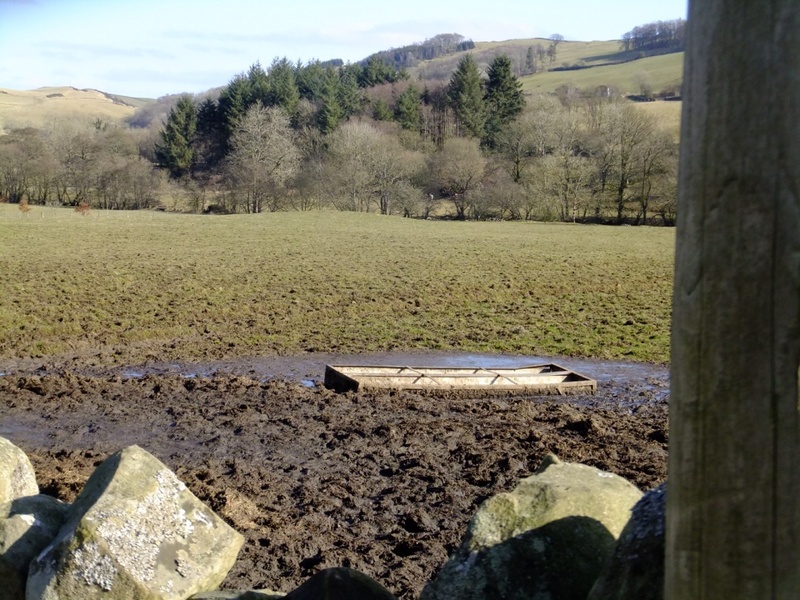 Heading up to the veg plot yesterday to see what it is like when it isn’t doing its best impression of a rice paddy,* I was surprised to hear the sounds of voices from people working in the woods beyond. It turns out that the landlords have had the cunning wheeze of getting their snowdrops thinned for fun and profit: some nice young men come along with implements of destruction, dig up the snowdrops while they’re still in flower (so they know what they’re getting) and then pay £20 for a tray of singles – and £35 for a tray of doubles. Given that the snowdrops very quickly grow back (in fact they’re better for the thinning) and grow like weeds up here anyway, it’s a bit like finding someone willing to buy rain, or mud, or midgies (all of which I have no doubt you’re going to tell me have a lively online commodity market. OK, maybe not midgies). Still, it put the landlord in a good mood and meanwhile I have at least managed to convert mud and rain and midge bites into a number of giant parsnips, one of which I traded for one of the landlord’s giant leeks, my own being disappointingly weedy this year. These were then converted into curried parsnip soup for lunch and, ultimately, cycling fuel (or possibly extra padding and/or insulation…) I would like to say that there can be no nobler fate for my garden’s produce but honesty compels me to state that I wouldn’t mind finding someone willing to pay me cold hard cash for crocosmia corms or, come to think of it, ground elder roots, especially if they’re willing to dig them up themselves. Offers in the comments please. Unless you’re about to tell me that ground elder is edible, in which case I KNOW, it’s just that it also tastes like hedge. 3. Turn left by turning right. OK, I’d read all about the Copenhagen left and it all sounded very simple in theory – you cross the road you want to join, get onto the cycle track on the right hand side, and then cross the road you were following. But I kept overshooting and crossing right over and stopping and getting onto the pavement and then attempting to rejoin the queue of waiting cyclists as they started up again with the green light which meant I was taking about three cycles of the light to get across. In the end I managed to master it by following the other cyclists as they slipped out of the stream of bikes to the right, then swerved round to the head of the crowd of bikes waiting at the light, which felt uncomfortably like queue-barging the first few times. As a Brit, this was actually the most painful part of cycling in Copenhagen, and I speak as someone who’d left her warm gloves in Edinburgh and was going bare-fingered on a freezing February afternoon. 5. Stick to your lane. Those main cycle tracks are WIDE and it means there’s a fast lane and a slow lane on them and you’d better not pootle along on the left if you’re not prepared to make some progress; style over speed my foot. That said, there was also plenty of space for ME to pull out and pass a Copenhagen Supermum with her Christiana bike loaded with kids and then safely back in again before I was swept aside by a cool kid on a gently clanking 50s Raleigh. In fact, as the rush hour began to get going I realised what cycling in Copenhagen reminded me of: it was like trying to master using the London Underground by changing trains at Kings Cross at 5:30 on a Friday afternoon. With a wheely suitcase. I was trying hard not to be the hapless tourist standing on the wrong side of the escalator or stopping to read the map right in the middle of the corridor between two platforms, and I think I more or less managed it in the end. Or maybe the Danes are just way more polite than the average commuting Londoner and just quietly navigated round me without too much audible tutting. 6. Don’t forget to enjoy it. There’s something almost dreamlike about being swept along in a living stream of bicycles, of all shapes and sizes, flowing magically through the city, silent except for the occasional rattle of a loose mudguard. Thinking back, it still barely seems real. Were there really that many bicycles, so many people getting about on two wheels? Or did I just make it up? I’m going to have to go back and find out for real. I got to the airport and packed up the bike, with my coat over the top as padding*, zipped up its cover, strapped it with the luggage strap and took it to the check in desk. At this point I was quite nervous because the bus driver had already wanted it covered before I brought it onto the airport bus so I had no idea what an actual airline official would make of it. I’d even scoped out the bike parking at the airport in case I needed to leave it locked up somewhere while I was away. They asked if I had any bags to check and I put it on the scale (16kg with coat, lock, burqa and front basket, if you’re interested). ‘Ooh, I’ve never seen one fold up that small,’ said the check in lady. ‘Ooh yes, is there really a bike in there?’ asked the check in bloke (it was almost painful as a proud Brompton owner not to be able to demonstrate the fold then and there but I restrained myself). All I had to do was take it over to the outsize baggage area, where I had more or less the same conversation with the chap there. Job done. It turns out that when it comes to travelling by plane a Brompton is not so much a means of transport or a problem as a conversation piece. And it appeared unscathed at the other end: I would have been able to ride it right out of the airport into the city had I not had a sudden loss of nerve and got the train instead – not so much because of the distance but because of my non-existent navigational skills. This proved a sound move as, once at Copenhagen Central and with the help of a tourist map, the map at the station and my GPS, I still managed to head in precisely the wrong direction on my way to the hotel, and was in fact well on my way to the airport before I worked out I was going wrong. Cycle-friendly city or no cycle-friendly city, there’s really no infrastructure on earth that will prevent me getting lost if I really put my mind to it. Since then I’ve been pedalling around trying to master the Copenhagen left, recce my route for tomorrow and not cause a seventeen-bike pile up by stopping in the wrong place to consult my many navigational aids. Amazingly, I even managed to find my way back to the hotel all on my own. In an exciting interruption to my rural existence, I have to go to a meeting … in Copenhagen. This is extra exciting if you’re a cyclist and long time reader of Copenhagenize and Copenhagen Cycle Chic, the two blogs that first opened my eyes to the idea that riding a bike doesn’t have to involve dressing up like a day-glo Christmas tree and going out and doing battle with the cars. 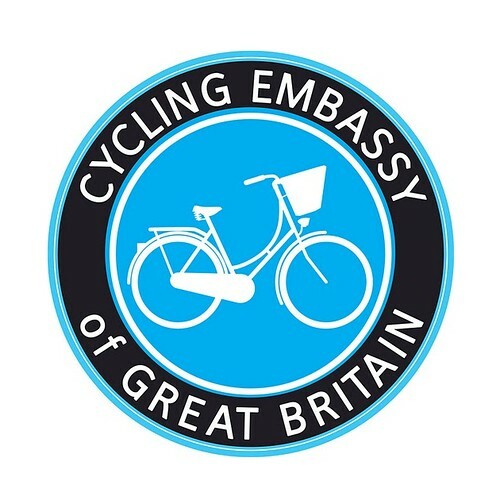 Unfortunately, the meeting has nothing to do with cycling, and will take up most of my daylight hours, so I will only have a brief afternoon to experience what has become one of the world’s most renowned cycling cities. * Obviously I could go out and explore the city on foot, but I know from my recent trips to London that there’s nothing worse than plodding about on two feet when everyone else is whizzing past on two wheels. And while I could rent a bike, it was all looking a bit complicated and time would be short. Coincidentally, I then stumbled across this and it struck me that the best chance I was going to get to explore the city in daylight was to actually cycle from the airport. 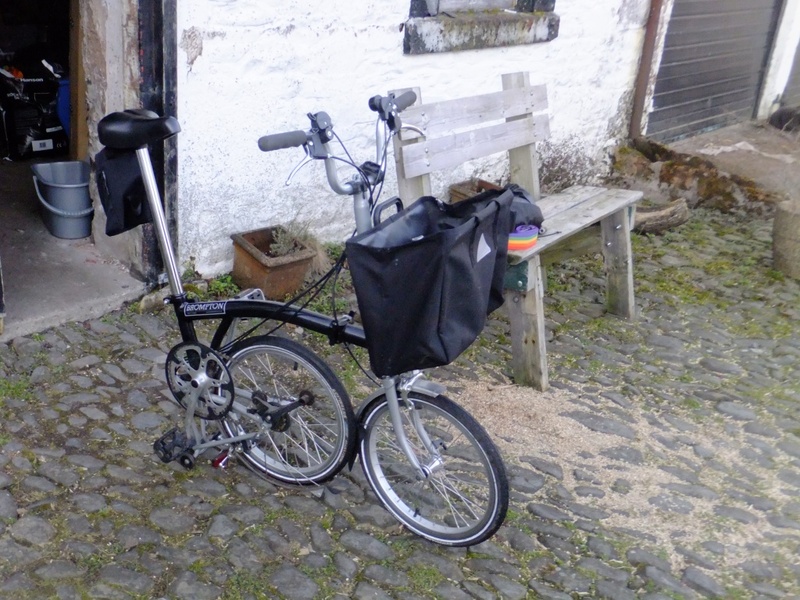 Which meant bringing my Brompton – after all, what is the point of having a nifty wee folding bike if you don’t bring it with you wherever you go? The only problem would be getting it onto the plane. 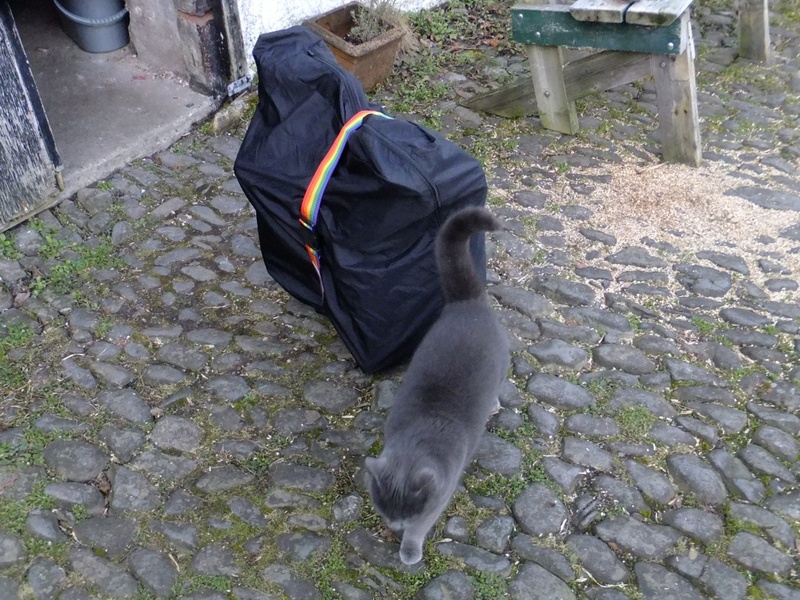 Twitter suggested a couple of useful guides but they involved packing the Brompton into a big bag with all your other stuff, with the implication that you’d unpack everything once you arrived and then go for a bike ride. I wanted to be able to just unfold my bike at the airport – preferably without scattering my underwear across the terminal floor – and ride away. My next thought was just to check the Brompton as it was, on the grounds that the baggage handlers might actually take better care of it if they could see that it was a bike, rather than some anonymous lumpy package. But I wasn’t sure the airline would be happy with that, as it was a BIKE and hence all a bit complicated and it might tend to catch on things, and besides they’re just a wee bit too nickable for me to be entirely comfortable sending it on its way naked, as it were. 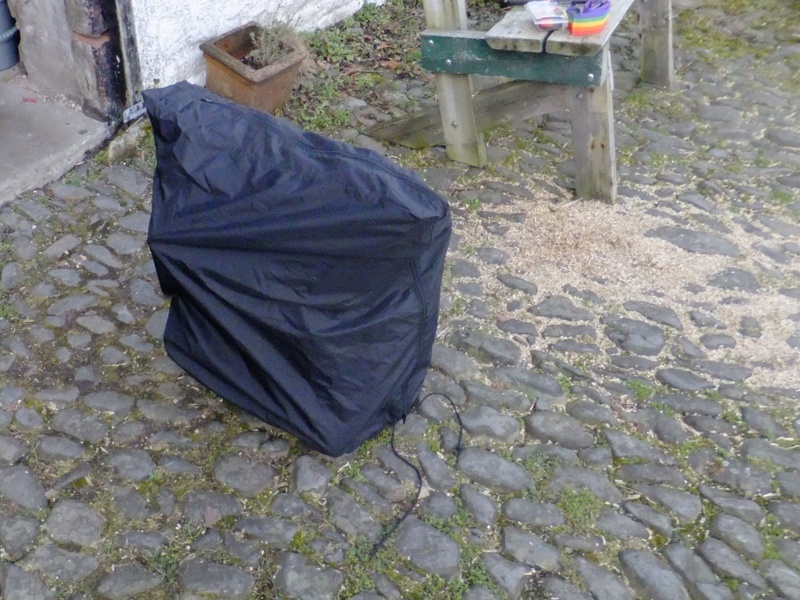 Fortunately a friend has a sort of burqua for a Brompton, that conceals its dangerous bikey-ness from any transport related jobsworth, and indeed its seductive curves from any thieving toe-rags and he kindly lent it to me. The plan is to use this and a luggage strap to pack it up along with its bag and lock. Hopefully it will survive the trip – and won’t come up against any hitherto unknown rules banning partially clad bikes from airline holds. 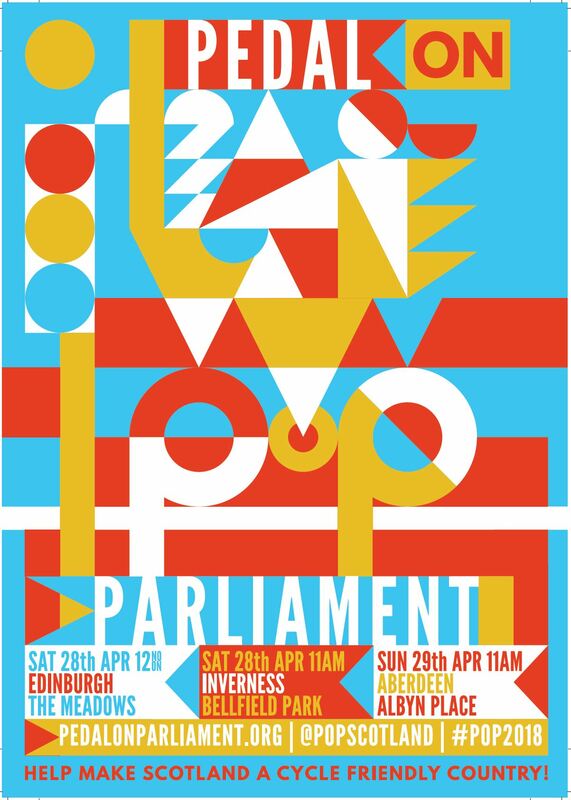 I shall keep you posted. And meanwhile, worrying about whether the bike will be allowed, and whether it will make it, and whether I’ll be able to find my way from the airport, will be a useful distraction from my usual dying-in-a-plummeting-fireball worries that accompany most flights. More on my return, if I am spared. *I’m sure it has many other good features too. You are currently browsing the Town Mouse blog archives for February, 2013.